Biblical and Sensitive. The author has great bed side manner in wading through difficult questions about marriage and divorce. The book does not tip-toe around subjects, but appropriately guides the reader through Biblical texts carefully and effectively. Explanations for His Explanations. The author is so careful to take every angle and side to each question of marriage. Newheiser goes to great lengths to thoroughly present solutions to marriage questions and take you on a full ride around all possible scenarios. Fight Club. Many marriages need to read the conflict chapter together. This could save so much heartache and tension in a marriage. The Grade: A+. Every pastor should have this on their shelf. It provides Biblical answers to an array of ministry and counseling situations. Additionally, it bestows great value for marriage counseling in its beginning pages as well. With bite size chapters, well-formed summaries, and even discussion questions for further thought, the book is a must purchase for answers about marriage and divorce. Book Review: What Did You Expect? Goal of Marriage. It won’t take you long before you realize this isn’t just a marriage tips book. If you want that, check out the grocery magazine stand or peruse the self-help books at Barnes & Noble. Here, you find a spiritual awakening to your marriage. You get a theological education of where God wants to take your marriage, and where God wants to take YOU in your marriage. That’s what makes this a worthwhile read. A Mirror to Your Soul. If you are not ready to dive deep into your heart, then you better not click “Add to cart” on Amazon. But, if you are ready to get to the heart of the problem, issue, or struggles of your marriage, then buckle up…this book will take you there. I’ve never thought I had a bad marriage, but is that what I want? “Not a bad marriage”. For a great marriage, I MUST work at my marriage, and even more so, work on MYSELF in my relationship with God. Can you give me an example? I love a good story. And when the stories of real marriage examples weave in and out of the chapter contents, it makes for a much more enjoyable read. If the whole book was principles and practical tips, it still would be a valuable book. But, with the real life examples of marital difficulty and victory, the reader gets the best of both worlds. Verbose. This was a BOOK. Nearly 300 pages worth made it for a very long, but important read. While all the material is valuable, I typically feel like it can be condensed when it gets to that thickness. If I drop the book on my foot and it hurts, it’s too much and time to sum up. The length was the only downside to the book. Tripp is one of my favorites. Man, he is able to take theological concepts and apply them to everyday life-like no other. Challenging principles from Scripture that get to the heart of the husband and wife, rather than surface marriage tips that only gloss over the real problems and issues. If the self-help books are a band-aid, this here book is major heart surgery. And if I’m your marriage doctor, I would be prescribing you this book to read 2 chapters and call me in the morning. It Takes Two. Probably my favorite aspect of the book is each chapter provides two perspectives: the pastor and the pastor’s wife. This did two things. First, as a pastor it provided encouragement, challenge, and practical training for the years ahead. Second, it provided a whole new perspective of what the wife feels, deals with, and the challenges they face. It allows the reader to come away more sensitive to the other spouse and a willingness to see the other side of situations. Big Eye Emoji. I was shocked. Maybe I need to be a better student of church history, but I had no idea of the struggles some of the greatest preachers in history had in their family life. 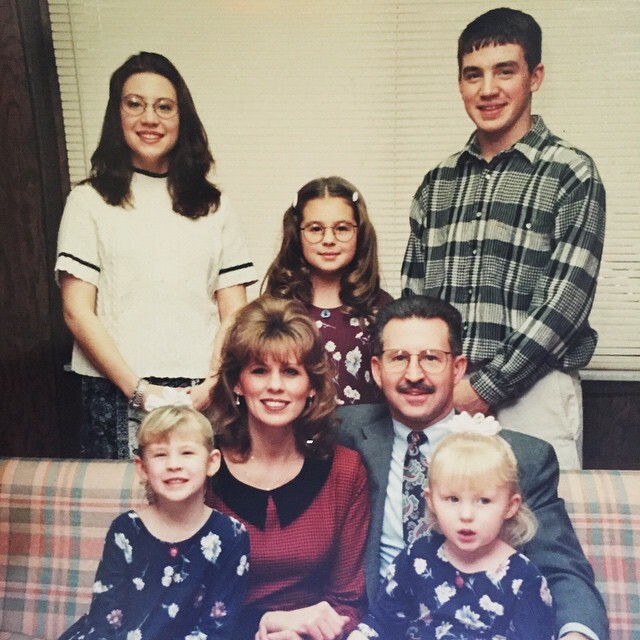 Marital struggles, parenting regrets, and family difficulty…how was I so naive. If these fellas struggled, I need to be even more on guard and fight for my marriage, my family, my children. Heart to Heart. At the end of each chapter, it allows the husband and wife to ask questions. Each of these questions were well thought out and are valuable to a ministry marriage. Put these into practice and allow it to be life-changing material rather than just head knowledge. For Real. This is stretching it, but for someone early in ministry there needs to be a warning here. This book is real and honest. It speaks of difficulties, depression, struggles…just make sure you are ready to read this. It acts as a warning, and an important one, but prepare yourself if you are just entering ministry or have a young marriage/family. The Grade: A. Those in ministry need to read this book. It won’t take you long, but it will have great impact. It’s highly practical, challenging, and encouraging along the way. It’s like a pastoral mentor and his wife taking you by the hand and leading you through the next years of your marriage and parenting. The value goes beyond the price of the book. Without a godly family, how will you have a godly ministry. Sometimes we get things backwards…this book will help put you back on track. Extra Credit: Read the reflection article on pages 107-109. It is dynamite. How will your marriage be OR How is your marriage now? Marriage Counseling 101. In the next year, I’m planning to add and revise some of my pre-marital material. And guess what book will have a big part of that revision. Yep, this one right here…excellent pre-marital counseling advice, material, and exercises. I Got Homework. Although this book is written for those preparing for marriage, I found myself completing many of the homework assignments on my own and with my wife. So marriage veterans, don’t think for a minute this book will not benefit your marriage. Who Wrote This Chapter? Within the “12 Ways to Start a Marriage You’ll Love”, there is a new author for each chapter. Why is this a good thing? Well, it allows the book to have varied personalities and styles to make the book more enjoyable. Didn’t I Hear This Before? Although the different authors can be a good thing, the downside is there is opportunity for repetition and slight contradictions. Some of the opinions of the authors may differ somewhat and can hurt the continuity of the book a little. None of the contradictions are drastic, but there are small ones here and there. Shameless Plugs. One author seems to use their chapter as a platform to promote their book over and over. It would be like if I mentioned my book “Bottom Line”, which is a devotional for teens & young adults, on this blog. Or if I would put the reader to www.bottomlinedevotional.com for book information and purchase options in a book review blog. But I would never do that. Weak Sauce. The majority of the book was Biblically sound. However, there was at least one author who seemed to not like the word “sin”. It’s OK to call it that! Instead of calling the problem “pride”, words were used like “buttons pushed”. Come on, don’t come at me with that weak sauce! The Grade: B+. I really enjoyed this book for its variety, meaty advice & counsel material, along with solid Biblical principles. Occasionally there would be some repetition or weak fluff marital direction, but that was rare. It was a great read and encouragement for those preparing for marriage, and those that tied the knot years ago. Leadership Inspiration. As a man, you don’t walk away from this book with your head down and wallowing in your “I can’t do this” pity. It gives you a little pep in your step to get the job done. This book provides you practical steps to accomplish leadership in the family. The B-I-B-L-E, that’s the book for me. Love when a book has a solid foundation in God’s Word. Well, this book’s foundation, walls, outlets, and ceiling fans are all rooted in the Bible. Every subject, heading, chapter is firmly supported by God’s Word throughout the book. Just My Size. This book packs a punch is only 37 pages. For a slow reader like myself, it was a refreshing change to provide valuable information in a book that didn’t take a while to read. Do-it-yourself Design: If you are into glossy pages, clever font, and perfectly structured chapters…keep moving along. The book is very rudimentary in design, especially the pages within. But if you are able to move past that, the value is in the words. The Grade: A. Husbands, fathers, men…you need to pick this book up. Sure, some of this may be review, but it needs reviewed. Better yet, read it, then find someone you can mentor and give them this book. Take them to Bob Evans a few times, get the Farmer’s breakfast, put some ketchup on those home fries…and build mighty men! I needed help. I needed a mentor. I needed discipleship. Let me start off by saying this…I had the blessing of growing up with two devoted Christ-followers as parents. They led me to salvation, brought me to church, loved me, and cared for me with selflessness and unconditional love. But, a good parent understands that their child needs more than just themselves to continue to grow. When other adults take a spiritual interest in a young person, that additional support goes a long way in their spiritual development. And I had the blessing to have many mentors and adult support (youth pastor, pastors, teachers, youth leaders, and the list goes on) willing to disciple me…I probably needed more than most to get me going in the right direction. But one particular couple stands out. They had 5 children of their own, so I look back now and am amazed they had so much time to help me. The husband, a sharp man, was never afraid to tell me the truth, and providing sound Biblical advice. 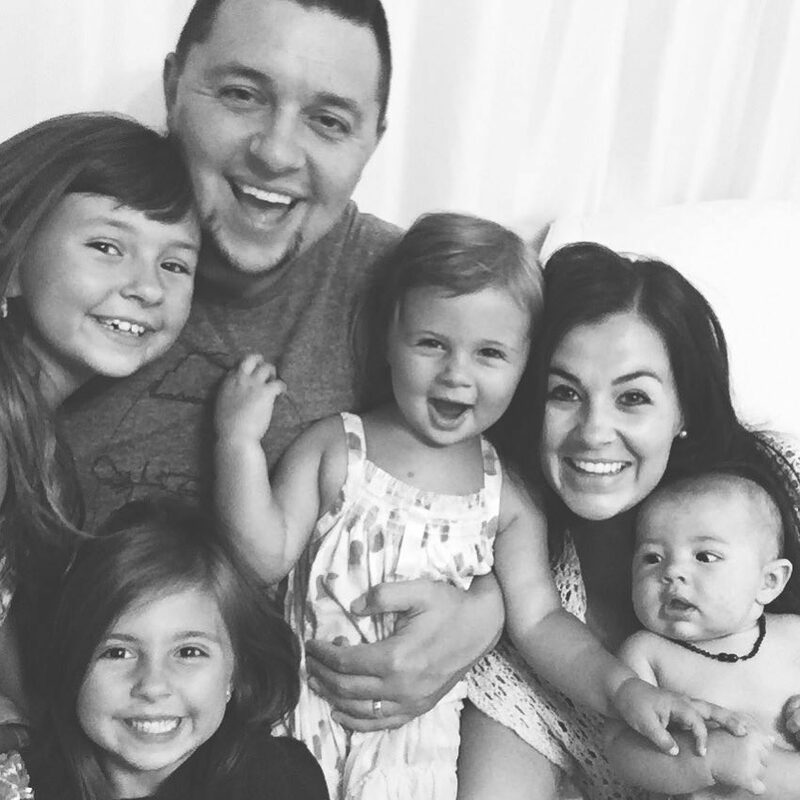 The wife was so caring, kind-hearted, and full of grace. You could call them a couple with truth and grace. When my mom passed away, they constantly opened their home, fed me loaded nachos, and played games with me. They provided a home away from home when I was really hurting. The wife would provide me advice that I needed from a mom including “don’t be kissing till you have a ring”, and filled my belly with additional snacks that I also needed from a mom. The dad would scream laugh at my jokes, listen intently to my stories from the golf course, and be a sounding board for my career aspirations. But one day stands out. My mom had just passed away in early May, and I needed a suit for my high school graduation. I had no clue. 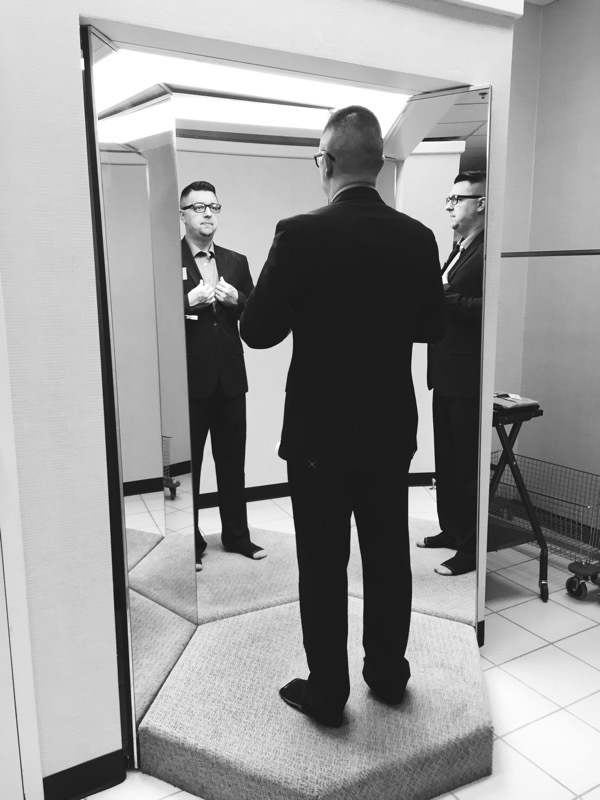 I never had owned a suit in my life, and didn’t know the first place to look. So I asked if this couple would meet me at the mall and give this sad kid some fashion direction. I needed a mom to stop me from picking a leisure suit, and guide me in the right direction. We met at JCPenney. This couple helped me pick out a solid black suit. A suit I wore to my graduation from high school. A suit I wore to my graduation from college and seminary. It also became the suit that I wore on my first date with their daughter…I think you know where this is going. This couple was always like a second father and mother to me. Now, they truly are. I fell in love with their daughter after that first date. (And no, I didn’t kiss her until she had the ring!) The mentoring and discipleship that I received in high school, still continues to this day. My father-in- law continued to disciple me as I became the primary caretaker of his daughter, just 5 years after they helped me purchase my first suit. 15 years later, they gave me money for my birthday. And after 15 years, I needed a new suit (the wife/mother-in-law’s daughter also makes a really good loaded nacho – hence needing a new suit). So with the birthday money, I decided to go to JCPenney with my wife and kids, and purchase a new solid black suit. It reminded me of that special day, and the many other days this couple disciple me patiently to help me become a better follower of Jesus. So, pastors, youth leaders, parents, teachers, friends…what does a mentor look like? What does discipleship look like? It looks a lot like life. A mentor is someone that is willing to sacrifice their time and energy to provide godly wisdom to everyday life. Sure, this couple may have had 300 other things to do that day, but they knew I needed help for an important day. And there had to be times they wanted a quiet night when I rang the doorbell, but the nachos and “take two” game were ready for me every time without a complaint. Life and time. You put those two things together under the precious wisdom of God’s Word, you have discipleship. Take time to be a mentor. Take time to disciple a younger person, or a younger believer. Treat them like family, because one day they just might be. 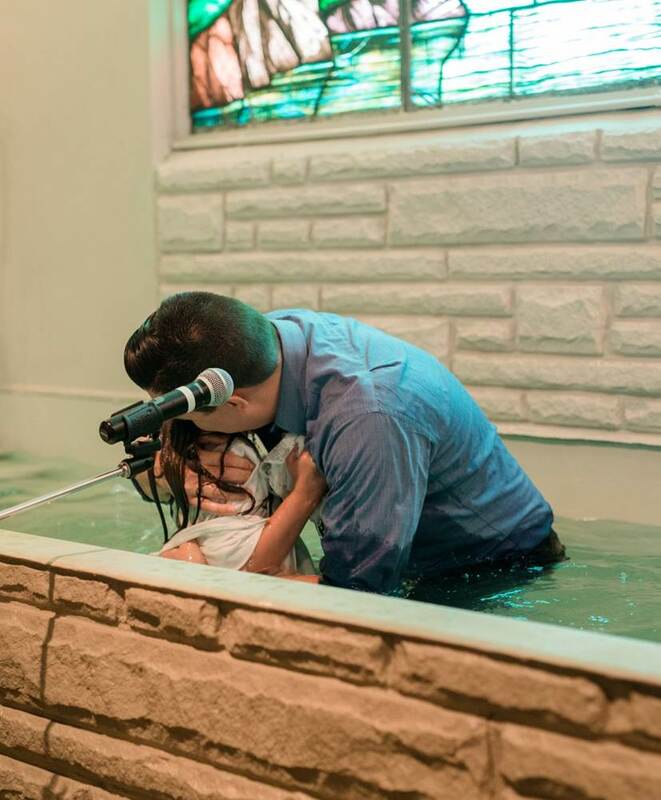 This past Sunday, I had the privilege of baptizing my baby girl. Well, she is seven (and a half, as she would say), so not so much a baby anymore. But being my first daughter, I often call her my baby girl. Baptizing my sweet little girl is an incredible perk of being a youth pastor, along with leftover pizza from youth nights. But just how special was this event in my daughter’s life? Could I dare say that this day was even more special than my daughter’s wedding day? I believe so. And here’s why. 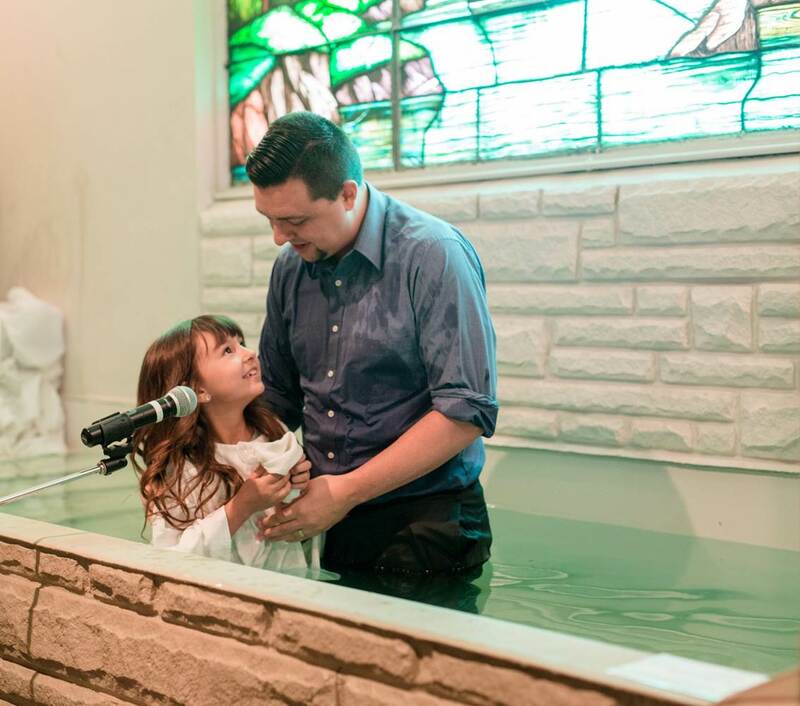 When my daughter was baptized, she was telling everyone she wanted to follow Jesus, and be identified as a follower of Christ. If/When she gets married, while it will be a tremendously joyous occasion, she is telling everyone in that room she will be following her husband in her marriage. See the difference? Let me break it down a little further here. My ultimate goal as a parent is not to prepare my daughter to marry a nice, godly man. Sure, I pray for that regularly, but my ultimate goal is to prepare my daughter for a life lived for her Savior, Jesus Christ. And seeing my daughter in that white robe committing herself to Jesus overshadows seeing my daughter in a white dress committing herself to a man. And maybe I should say it like this. I want my kids to be more excited about Jesus than they are about anything. And I should reflect that to my children. So accepting Jesus Christ should be celebrated more than high school graduation. Being baptized and committing to follow Christ should be more precious than winning the high school championship in __________, you will in the blank. You get what I am saying here? Maybe it is time we take our kids out to dinner to celebrate their spiritual birthdays. Or make sure to invite as many family members as you can to come to their baptism. Mission trips, Christian camps, and enriching conferences should have a place in our budget over cell phones, new shoes for school, and violin lessons. Our desire to get our kids ready to go to church, should resemble the fervor with which we scramble and drive like crazy people to get to work on time. One Liner After One Liner. Goodness, I have never read a book that had so many one-liners that hit you right between the eyes, especially as a dad. So much so, you had to really take your time through some paragraphs because were so full of sentences dripping with truth and power. Like a Modern Day Proverbs. 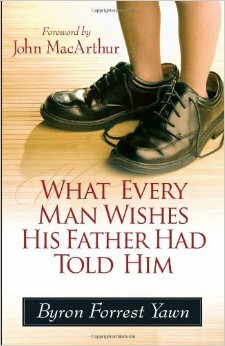 The wisdom this book provides for sons and Fathers of sons is priceless. It will provide healing, wisdom, instruction, and parenting guidance. It reminds me of the book Solomon wrote for his son…while it certainly does not have the power of God’s Word, it still draws from Biblical principles for the next generation of men. Counseling Gold. Countless times I wrote in the margin of this book “counseling illustration” or “use in counseling”. As a young father, I need all the wisdom I can get in parenting my own children, let alone counseling other fathers. This will help. Humor Like a Desert. Just how I like it. I love dry humor, and this book was full of it. It was well-placed, and allowed the read to be more enjoyable. At times, it kept me coming back for more. Miscellaneous Reasons for Purchase. #1 – Man Laws. #2 – Chapter on Sexual Purity. #3 – Chapter 18 will grip your heart and will have an incredible effect on the reader (if not, check your pulse). Redundancy. There was some redundancy of literary style at times. Hard to explain, but sometimes slowed the flow of the read. The repetitiveness in style often cause the writer to say the same thing in different ways in the same paragraph. Too Dogmatic? I put a question mark here because it wasn’t something that caused me to struggle in my doctrinal view of the book. However, there were some very strong statements that may cause you to slightly raise an eyebrow, but not get bent out of shape. Take the Gospel, and Call me in the morning. This seems like this is happening more and more in our Christian culture where we simply say the solution is the Gospel. While it probably is true, I need more than just the word, but an explanation. There were times in the book where it had the former without the latter. I just finished the book a few days ago, and have already recommended it to a Men’s Bible study group, a parent of a teen, and put it in my planner to recommend at my next big parents meeting. This book comes strongly recommended from one dad to another. With my little boy coming any day now, I needed this, and your son wants you to read this book too.